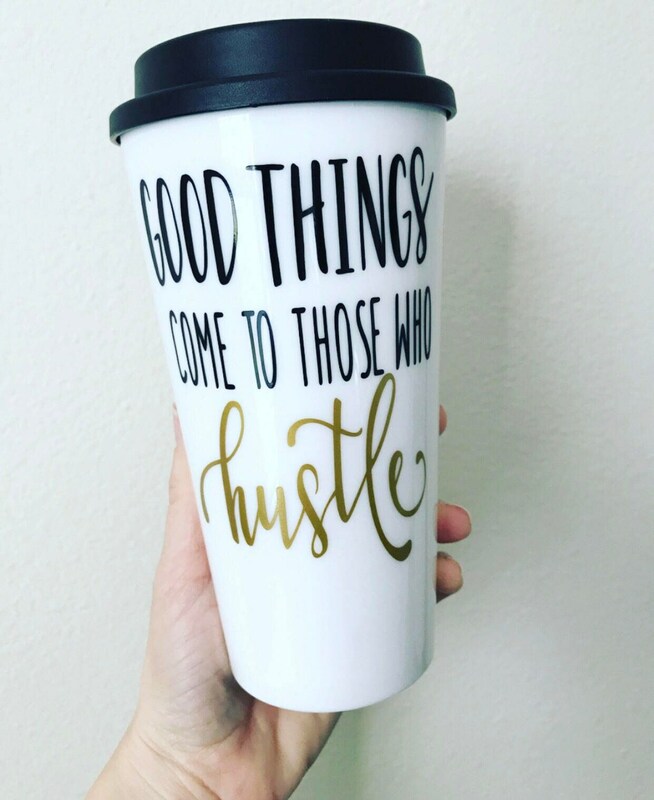 "Good Things Come To Those Who Hustle", coffee travel tumbler/mug. 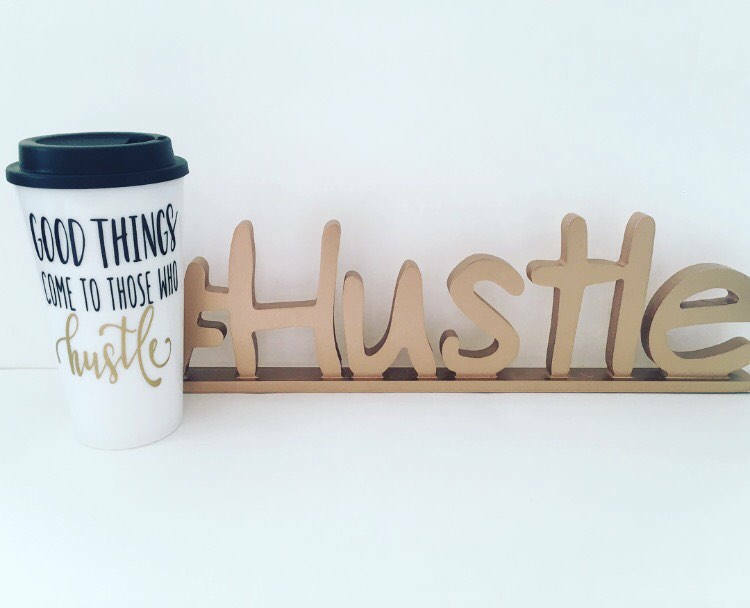 Take the Hustle with you! 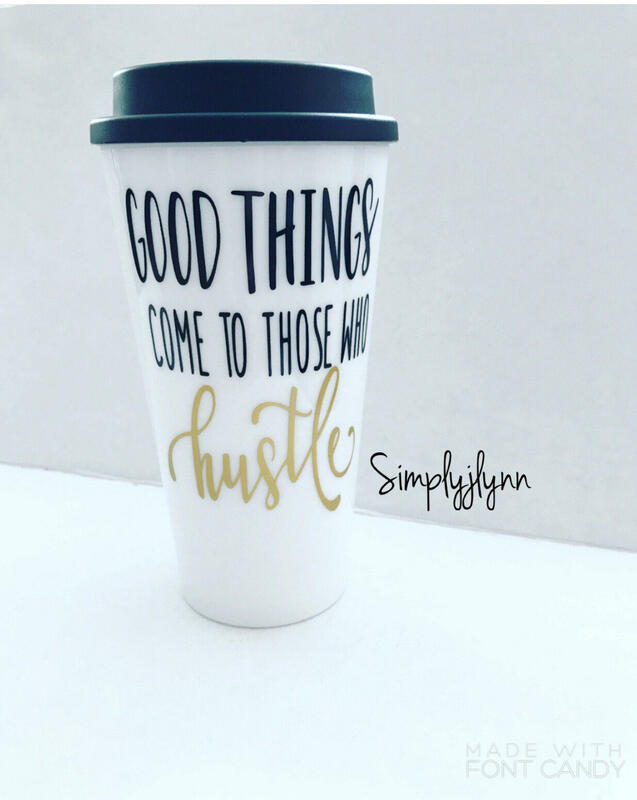 This is the perfect gift for that mom on the go, the hard working co-worker, the up early-stay up late grad student- all good things come to those who hustle!! This 16oz white travel mug with white interior and black screw on lid is made with industrial grade, black and gold permanent vinyl. Items are made to order and will ship 3-5 business days after purchase. Love, Love, Love my new travel mug! Shipping was fast, product is gorgeous. Thank you for the daily motivation to keep the hustle up!